Country music tends to create pretty polarizing opinions among music fans — you're either of the "I love country" variety, or "I love all music, except country music" side. I'm admittedly in the latter camp, until I find a country singer that I promptly become totally obsessed with (most recently, this was Sam Hunt circa the 2016 Grammys... I mean, hello.) 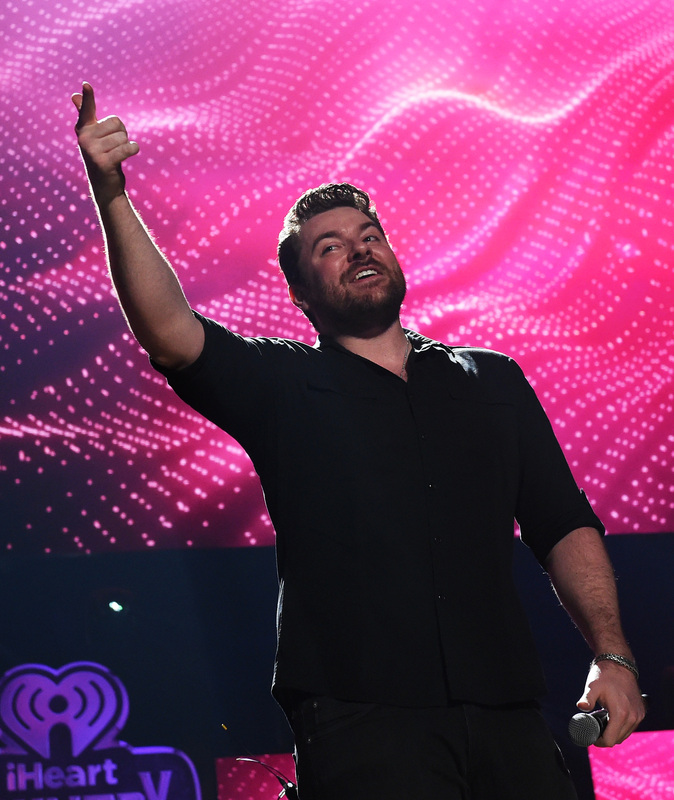 and, if you're like me, you're going to be equally obsessed with country crooner Chris Young. So who is Chris Young, you might ask? Well, he may be a new name to mainstream music fans, but he's hardly a newcomer to the industry. Young, a 30-year-old Tennessee native, has been performing since grade school, according to his All Music bio, but he shot to fame when he won the fourth season of Nashville Star in 2006. In case you're not up on your country music competition shows, Nashville Star is the same show that launched the careers of finalists like Miranda Lambert and Kacey Musgraves, so Young was in some incredibly talented company. But that was 10 years ago, and Young has been steadily releasing albums and winning country music awards since. He's had five studio albums since he won the show and he's a pretty big deal in the country biz. I've been trying to grow where I'm at and the level of show that I'm giving to people. There seems to be a lot of stuff cooking in a lot of really good ways right now. I think it's telling being able to take such a strong line-up out as well. I think we're offering people a really, really cool show. Young seems to be enjoying life on the road, based on his social media posts, but he's not about to share too much personal stuff with his fans. After rumors surfaced last summer linking him to Miranda Lambert and suggesting her marriage to Blake Shelton ended after Shelton found out Young and Lambert were seeing each other, Young was quick to clear up the rumors. In late 2015, he told Taste of Country, "It just sucked because those are two friends of mine. Literally I was texting Blake and Miranda in the middle of it going, 'I have no idea how I got sucked into this.'" He also added, "Social media is a very, very powerful tool. It also gives power to tools." It seems Young would rather speak about his experiences through his music, and that's all his true fans really want, anyway. I, for one, can't wait to see where this country cutie's career goes from here.